I had a summer baby. A very strong summer baby and I spent most of those first months wrapping and re-wrapping the little guy. Now I love a traditional muslin wrap but the fact remains that an unusually agile and very determined little baby can worm his or her way out of what you think is the swaddle equivalent of Fort Knox. That’s where the new Love Me Baby Wrap Me Up Lite comes in handy. We told you about the regular version in January last year, and now summer babies can reap the benefits of thirty per cent lighter fabric than the standard version. The best thing about these wraps is that babies still have access to their hands though firmly wrapped, and that means more sleep for you, less settling and much less re-wrapping. 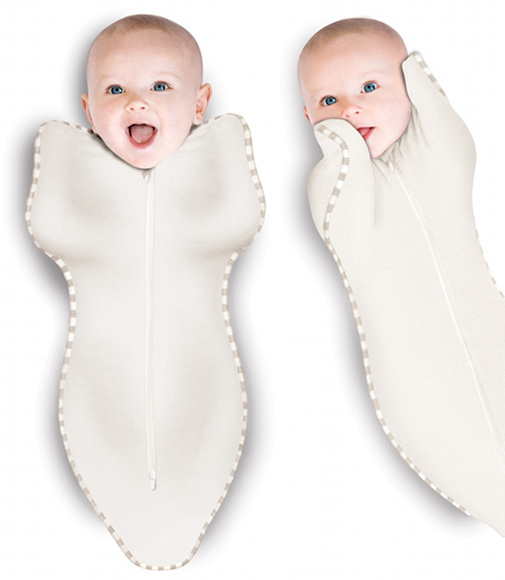 Get them for $41.95 each plus post from Urban Baby.